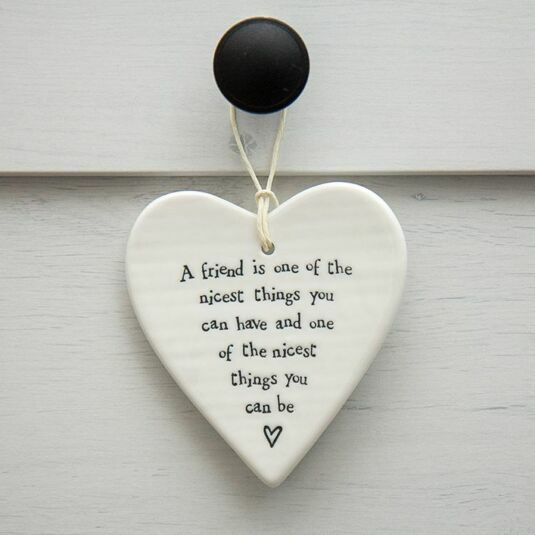 This white porcelain heart is a lovely gift which can be posted in a card, or used as a decoration for anywhere around the home. 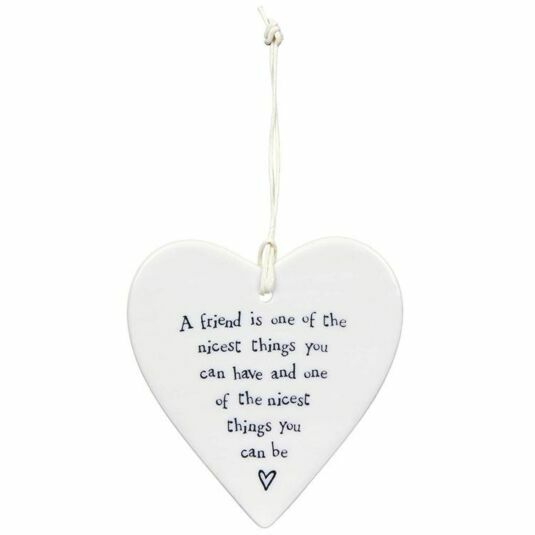 It has a string attached so it can be hung from a wall, door or elsewhere, displaying its sweet message to all those who walk past. 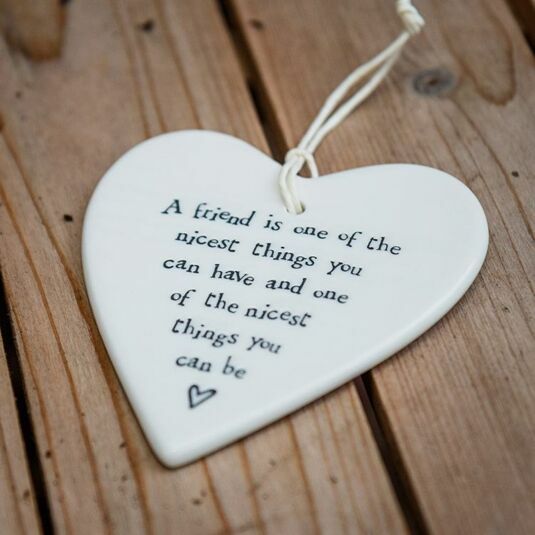 This is a brilliant way to show a friend you really care, and is a wonderful way to celebrate a birthday, Christmas or just because you can! 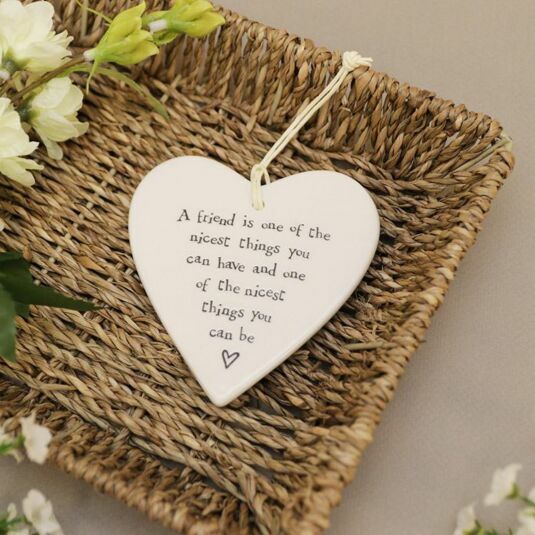 The decoration is completed with a simple heart.